. Published on March 15, 2016 . Wearing green on St. Patrick’s Day is traditionally a must. Green, on green, on green. It’s part of what makes this Irish holiday so much fun, including its loads of four leaf clovers, red beards and “kiss me I’m Irish” shirts. Gaelic legend says the reason for wearing green is that it will protect you from being pinched or, worse, abducted by a leprechaun if you see one, of course. On this St. Patrick’s Day, we don’t want you to just wear green, we want you to be green and provide less wear and tear on the environment. With that in mind, we have some recommendations for helping you take this St. Patrick’s Day to a whole new level of green. How can you be green while wearing Cariloha? Well, our products are made from bamboo viscose, an eco-friendly fabric that naturally wicks moisture away from your body and is odor and allergy resistant. Elements that are all working together to keep you cleaner, greener, and fresher, for longer. There’s nothing worse than going to a St. Patrick’s Day party in an uncomfortable, and possibly itchy costume. Try the stylish and comfortable route this year with a casual Cariloha T-shirt or comfortable polo. The best part is it won’t be something you can only wear one day of the year. 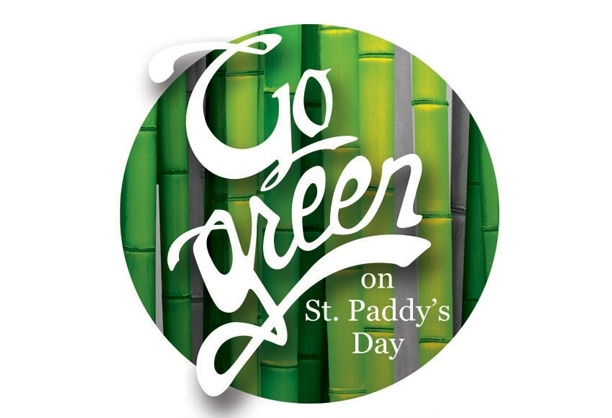 Figuratively speaking, you can wear your green St. Paddy’s Day luck all year round – especially since bamboo is naturally thermal regulating, too, so you’ll always be cool and cozy wherever you’re celebrating. Style and comfort intertwined with coolness and freshness. Your wardrobe will come full circle while wearing Cariloha this St. Patrick’s Day. Everything you need, and then some, all in one piece of clothing. So, while you’re looking great and feeling great in our jade, mint, and bamboo green apparel, you’ll also be showing off your green thumb with our eco-friendly, viscose-from-bamboo fabric.